A number of British and European politicians have written to the UK home secretary, Sajid Javid, to complain about the government's EU Exit mobile app. The app was created to enable EU citizens to apply for "settled status" in the UK in the wake of the referendum vote that saw the start of the Brexit process. The government stands accused of "digital discrimination" because the app is only available for Android devices -- and only relatively modern ones at that. iPhone users have been left out in the cold, as have those with older Android phones, adding to the stress and concern that already surrounds Brexit. In total, 71 members of parliament have signed the open letter which says the UK government is putting unnecessary obstacles in the way of EU national living in the country who already feel displaced by Brexit. The EU Exit app has been available for a number of weeks now, but to start with only a selection number of users in certain jobs were invited to use it as part of a testing period. 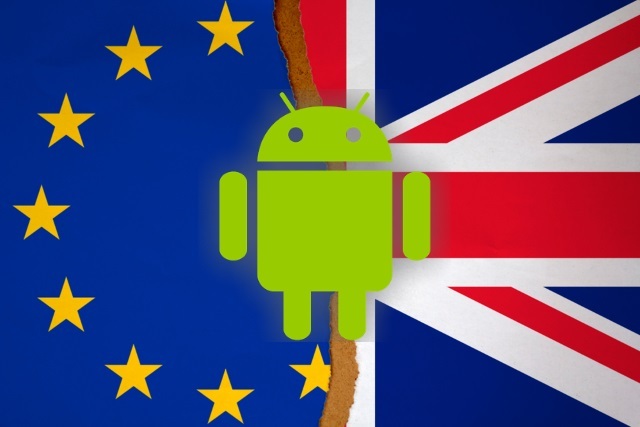 As of January 21, it has been made available for anyone to use to make their settled status application meaning that millions of EU citizens are only now learning of the Android-only limitation. The app enables people to confirm their identity by uploading a selfie and a photo of their ID card, as well as using NFC to share biometric data from their passport. With the Brexit date of March 29 quickly approaching, there is a growing sense of panic among EU citizens in the UK about exactly where they will stand when the UK leave the European Union. The UK government has made numerous claims that EU citizens are welcome in the UK, but the confusion about the entire Brexit process, a muddled process of applying for citizenship, settled status and residency, combined with the problems experience by the "Windrush generation" have created a sense of unease and distrust. The Android-only status of the mobile app has done nothing to help the situation. After the Windrush scandal the public are acutely aware of administrative obstacles and difficulties within our immigration system. The settled status scheme for EU nationals must not be plagued with public distrust. But this operating system difficulty is not providing the confidence that the public, our EU friends and parliamentarians need. Promising it will be OK in the future doesn't give our EU friends the certainty or confidence they need. Ministers are rolling out a system that is causing distress and concern. It should have been right for every EU national from the moment the scheme was launched. They should not have to wait for virtually the day we leave the EU to have a system that works properly. Pollard is just one of many politicians to have been contacted by members of the public who have found they have not been able to use the app because they do not have a compatible handset. While it is possible to use someone else's handset to complete the identity verification process, this is not something that everyone is comfortable with.